Are you looking to make hiking easier and not carry around maps with you? Whatever your situation is, you are on the right page. 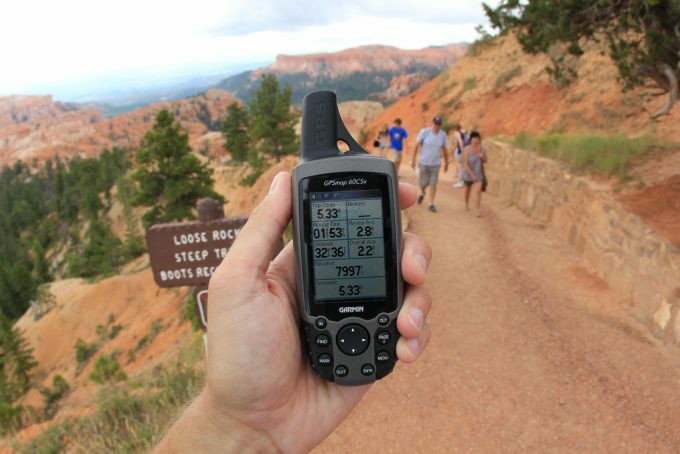 We are going to present to you the best hiking GPS models the market has to offer. Over the last 10 years, the market has been flooded with options for GPS navigation tools. Handheld tools with touch screens, cameras, even two-way radios all exist. But how do you sort through all the options and pick the GPS that is a good fit for your budget and your lifestyle? Don’t worry, that’s where we come in. 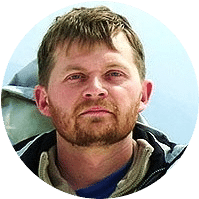 In this review, we are going to start out with some important features you should consider before buying a certain model, and then transition to the reviews of the best models on the market, which will help you decide which hiking GPS is a perfect choice for you! There are several features to consider when choosing a GPS device. You don’t have to follow everything we say, but take a moment to think about these features and what your standards are for each. The desired weight of your device depends on which activity you’ll be doing. 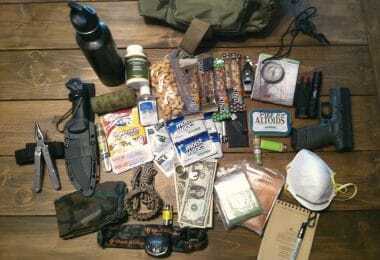 An ultralight backpacker probably cares more about shaving off extra ounces than a casual day hiker. In the same sense, if you’re looking for a GPS to strap to your truck in the backroads, you can afford a bit more weight if it means increased readability. Your target weight really depends on your activity. While most of the GPS units are light in weight, you really want to find something that won’t wear you down as you hold it. This is especially true if you genuinely care about having everything as light as possible. As with pretty much all gear you take into the outdoors, durability is a huge consideration. You want to make sure you get a GPS that will work well even if you get caught out in a storm. As well, a GPS can be costly, especially if you need to pay extra for new maps, so you want one that is going to last a long time. You don’t want to find that your GPS stops when you need it most. It may be worth spending a few extra dollars to get a good GPS. Having a screen you can read is pretty important since you’ll be relying on your device to save you from getting lost. Your screen should be large enough so that you can see it clearly and have an easy to read display. Think about when you try to read your smartphone in direct sunlight. Pretty tough, right? You want to make sure you get a GPS that is readable in direct sunlight since that is pretty much the only place you’ll be using it. This is a big one. Electronic touchscreen devices tend to burn through batteries, but you need your device to last as long as you’ll be outdoors relying on it. Make sure you get a device that has either a proven long battery life or dual battery capabilities. Otherwise, be prepared to carry a pound of AA batteries in your backpack whenever you go out. Battery life is essential because you can’t just charge your devices anywhere in the woods or on the trail. If you need to, consider an external battery pack. Last consideration is a pretty significant one. 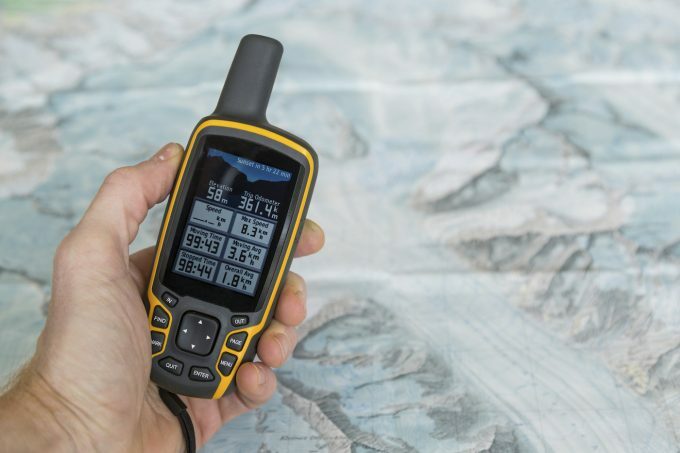 You want a GPS that can reliably and quickly connect to satellites to give you your location and altitude. Otherwise, well, why did you buy a GPS? You will need a strong enough signal, wherever you are hiking, so that the GPS can work well. Keep in mind that you shouldn’t be among a ton of trees while using it. Try to find an open area so that you can get a good reading. 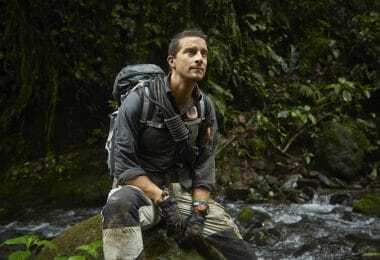 After knowing better which are the factors that influence your choice in a hiking GPS, it’s time to make your pick and since it’s not an easy one, here are a few to choose from. 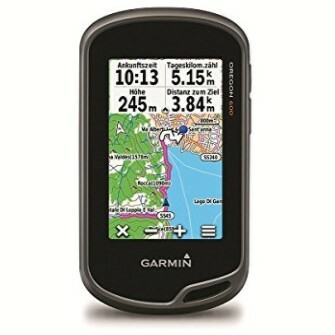 Description: The Garmin Oregon 600 GPS is one of the top handheld GPS systems on the market. This product has a very intuitive display, and especially if you have been using older Garmin models, you may be surprised by how easy it is to adapt. It seems very similar to smart displays. Another benefit of this Garmin GPS is that you can download maps from 3rd party sites and use them on the Garmin. So, although the maps that are included on the device are not the best (we’ll get to that later) it is possible to download free maps and use them with this device. Along with its intuitive layout and 3rd party map capability, the actual construction of this device is on point. 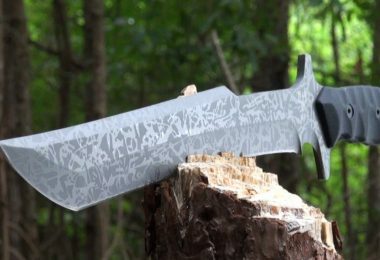 It has a nice hand feel, is quite rugged, and holds up well over time. The last high point of this device is its storage capacity. If you’re using it for geocaching, you can store 1000s of geocaches on the GPS. The only drawback is that the geocaches won’t appear on your map unless you are close to them. Now for the negatives. First, this version of the Garmin Oregon has no built-in camera, whereas the 650t does include a camera. Secondly, the maps that are included on the device are not routable, so you either need to spend over $100 to import official Garmin maps, or spend time finding and downloading free or inexpensive maps from third party providers. Lastly, and most importantly, this device has poor battery life. You need to make sure that you manually turn on navigation and turn the device off fully when you are not using it. Otherwise, it will keep seeking satellites even when it is in your pocket, and it will burn through its batteries. There you have it, there are positives and negatives to this device, but overall, if you are looking for a device to store caches, use while geocaching, or use on some simple day hikes, this is a very good choice. Related: The Garmin Portable Friction Mount has a 4 arm shape that sits right on your dashboard and comes with a ball mount. It has a 1 year limited warranty and is affordable. Specific features: Sunlight readable, 4GB expanded memory, has dual battery capabilities, 2 AA batteries, and an optional NiMH battery, accepts smart notifications, optional ANT+ sensors to read heart-rate, speed, cadence, and more, able to wirelessly upload data to Garmin Connect and view on a smartphone, has a 16 hour battery life. Description: The Garmin GPSMAP 64s GPS can be a great choice for hikers and backpackers looking for a GPS that can connect to their smartphone or laptop. The best thing about this Garmin GPS is its built-in map. The map is very detailed, far more detailed than the built-in map on previous iterations of Garmin handheld GPS devices. If you’re hiking in a remote area and come across a dirt road, chances are the 64s will be able to identify it. Also, the device is compatible with 3rd party maps. Another big plus of the 64s is the Bluetooth function. It makes transferring routes, waypoints, and other data much simpler. Can also be very helpful if you want to transfer some data over to a smartphone. And of course, the big 4GB memory on the 64s is useful, you can save some pretty long tracks on there without having to delete any way points. For the negative, the biggest negative is the battery life. This can be a pretty big problem with all Garmin GPS devices, so make sure you figure out how to get around it. Turn off the Bluetooth and navigation when you aren’t using it. It is hard to imagine this GPS device, making it through a 4 or 5 day backpacking trip. All in all, this is a solid GPS device, with good durability, a readable screen, excellent maps and satellite connectivity, but with very poor battery life. Related: The Garmin Nuvi Vehicle Power Cable has a built in cable so that you can charge your device quickly. It has a mini USB interface, and is a 12 V adapter that will fit in many lighter ports in your car. Description: The Magellan eXplorist 710 GPS has a lot of good ideas and well engineered points, but overall the design needs some debugging, and some work. There are a few highlights of this product worth mentioning. The camera has a really good picture quality of 1600×1200 pixels, so you’ll get some nice shots on your hikes. However, the video quality is really very poor. Another neat feature is the microphone. You can record notes and annotations while you are in the field. You can also attach these to a geocache. 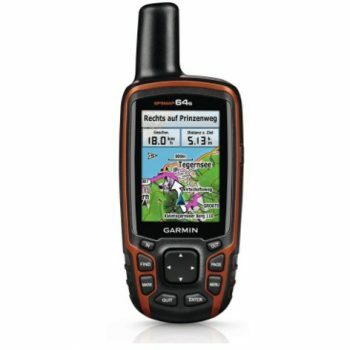 This GPS also comes with 8 GB memory, which is a huge amount, so you can save a large number of routes. For the negatives, the worst thing about this device is the screen. Unfortunately, it is almost impossible to view this screen in direct sunlight. Not a useful quality in a GPS. Turning on the backlight will improve the situation, but that will also eat up all the batteries. Speaking of batteries, the life on this thing is pretty bad. It devours AA batteries, and even longer lasting lithium batteries still run down in 6 hours. The device takes a long time to turn on and connect to the satellites. The upshot of this is that once it does connect to satellites, it holds onto them pretty well. It will randomly restart though, at which point you have to go through the unnecessarily long start up process again. The interface is poorly engineered. The touch screen is very unresponsive, and there are a lot of menus that require scrolling. The result is a lot of unintended selections. It can be pretty frustrating. Additionally, the keyboard is an absolute joke. The alphabet has been divided in two, so you have to constantly switch between the two screens while typing. All in all, although there are some good ideas and well done aspects of this GPS device, it is poorly engineered. Considering the price tag, there are better option in the market. Related: The YUOTO Outdoor Fanny Pack is a great waist pouch that comes in many colors and is made of wear-resistant nylon. It has dual water bottle holders, adjusts to 50 inches and has lumbar padding. 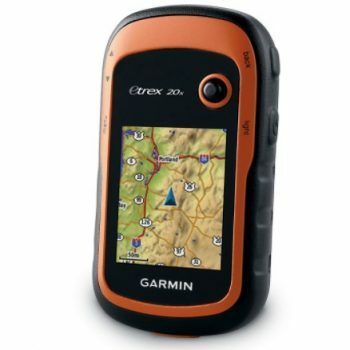 Description: A small, lightweight handheld device like the Garmin eTrex 20X GPS can be a great companion to day hikes and backwoods excursions. Let’s review some of the positive and negative aspects of this model. On the bright side, the Garmin 20X is very well made. The construction is sturdy, and it is very durable. It will hold up well even after a year of use. In terms of the internal workings, the user interface is fairly intuitive to use. It has lots of windows, but it is easy to navigate between them. 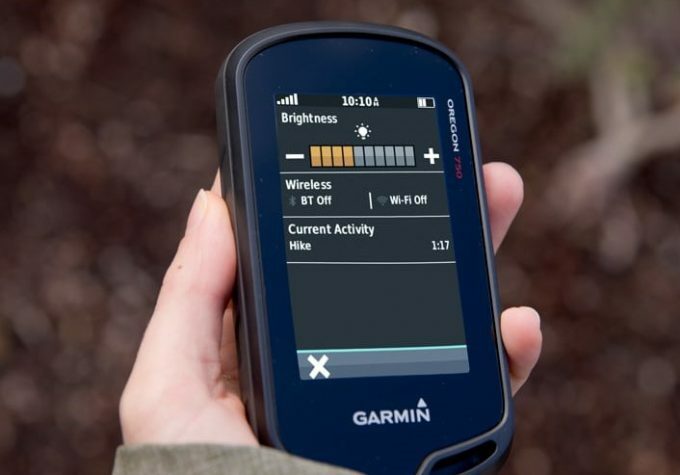 The screen is bright enough so it is easy to use even in bright sunlight, and unlike some other Garmin devices, it doesn’t burn through batteries. Along with the interface, the geotagging is very accurate and it is easy to hook it up to a computer to transfer the files via USB. With the large internal memory, you can save lots of geocaching locations. For the downsides, one of the major drawbacks of this device is its lack of a comprehensive user manual. It comes with a brief quick start manual, but if you want to dig into the nitty gritty of using this device, you are going to struggle. For the very tech savvy, this may not be an issue, because, as previously stated, the interface is fairly intuitive. But if you prefer to have an in-depth user manual teach you about devices, you may be disappointed by the 20X. 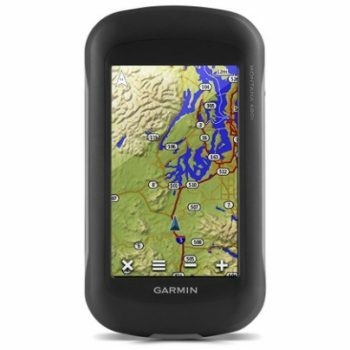 Also, as with all Garmin devices, the basemap that comes preloaded on this device is very general, so you’ll have to either cough up over $100 more for additional maps or try to find free maps online that are compatible with this device. It is one of the most annoying aspects of Garmin’s otherwise excellent line of GPS devices. Related: The Best Hydro Flask Paracord Handle is a great way to stay hydrated. This bottle has a paracord handle and a carabiner to attach to your pack. From 12 to 64 oz, you can choose your size and from an array of colors. 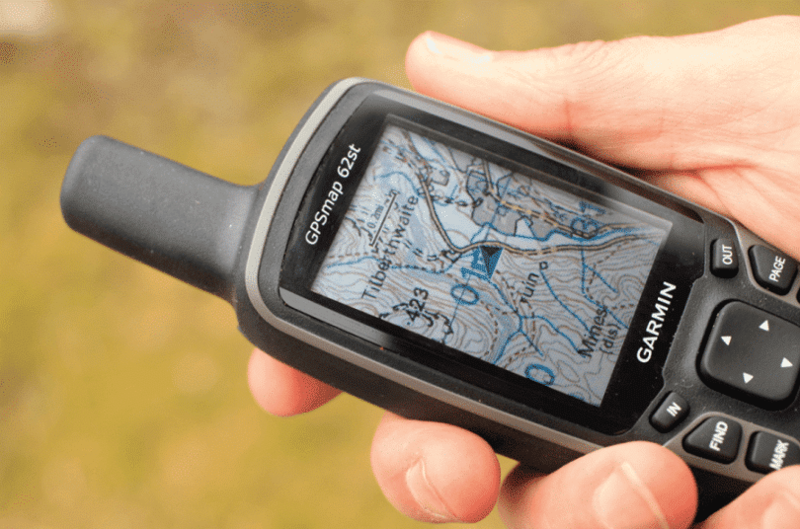 Description: The Garmin Oregon 650t GPS is really very similar to the previously reviewed 600, but let’s go over some of the differences, and the strengths and weaknesses of this model. The main difference between the 600 and the 650t is the camera, and the camera on the 650t is great. It is easily on par with the iPhone camera, so if you’re used to using your phone’s camera to take pictures on a hike, you can save your camera battery and use the 650t. Another big positive for the 650t is its touchscreen. The screen is very responsive, and the interface within is intuitive. Combine that with the daylight readable screen and the 3.5 GB of storage for your waypoints, routes, and geocaches, and you’ve got the makings of a great device. But, as with all devices, there are some downsides as well. For starters, the battery life on this device is terrible. Garmin claims a battery life of 16 hours, but some users report batteries dying in only 2 hours of continued use. The upshot is that the 650t comes with a rechargeable battery pack, while the 600 does not. 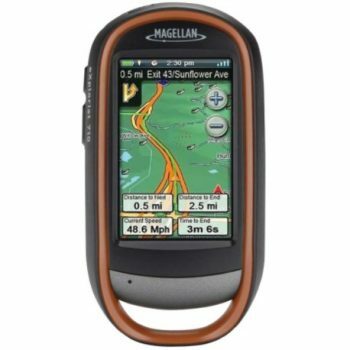 Another negative of this device, and this is a complaint about many Garmin devices, is that the topographic map that comes preloaded onto this device is not routable, so you have to either pay over $100 to download better maps from Garmin, or find free 3rd party maps online. Finally, the bluetooth connection doesn’t really work well, and isn’t compatible with all devices, it struggles with Android, for example. But if you’re willing to use a USB to hook your device up, it works fine. Overall, this is one of the best Garmin GPS products on the market. As long as you keep in mind that the preloaded map is not going to cut it, and you’ll have to download some new maps, this Garmin Oregon 650t should be a crowd-pleaser. Related: Having an aid kit is necessary while away on a trip. The Elite Provisions First Aid Kit is light, compact and includes 131 pieces for an affordable price. Specific features: 250,000 preloaded worldwide geocaches from Geocaching.com, a 1-year subscription to Birdseye Satellite Imagery, a high sensitivity WAAS enabled GPS receiver with GLONASS support, and an 8MP digital camera with automatic geotagging. Description: The Garmin Montana 680t GPS is one of the most expensive units on the list, but if you have room for this one in your budget, it is highly recommended. It scores well in all the areas you need, with only minimal drawbacks. This is marketed as a handheld GPS device, but it can also be mounted in your car or on a bike and work very well. It can be configured to boot up when you start the car. The screen is also large enough to be viewable while you’re driving. As a handheld device, this GPS is pretty stellar. It is large, with a well-designed touch screen and incredibly intuitive interface. If you need some guidance when getting started, you can download a full manual from Garmin. Although it’s big, it isn’t too heavy, a little over half a pound, so it won’t weigh you down while backpacking or hiking, and when the screen is on its brightest setting, it is very easy to read in sunlight. The device itself is built well, holds up through some rough usage on mountain biking or backroads. Also good news for people traveling to remote areas, this Garmin picks up satellites much faster than other Garmin models. Unlike most Garmins, this GPS doesn’t consume batteries at a rapid pace. Of course, as with all devices, be careful about your settings, but overall, this device has a pretty good battery life. As for the drawbacks, this device can be a bit slow to boot up, so have some patience when you first get started. As well, the altimeter can be a bit unreliable, by about 300 meters. Overall, this GPS is worth the money, with a great interface, sturdy build, camera, bright screen, large memory, and decent battery life. If it is within your budget, this is a definite winner. Related: Keep your balance with some hiking poles. BAFX Hiking Poles are anti-shock, come in 2 colors and are highly affordable. 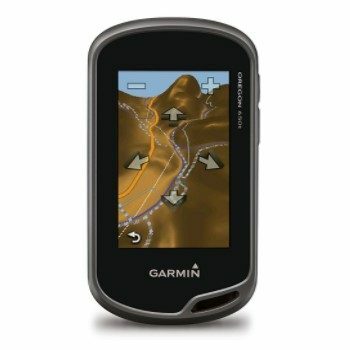 Specific features: 100k topographic map and a 1 year subscription to Birdseye Satellite Imagery, 2.6 inch 65K color touchscreen that is glove friendly, 5-watt two-way radio with a 2 mile range, high sensitivity GPS, and three built-in sensors: altimeter, barometer, and 3-axis electronic compass. 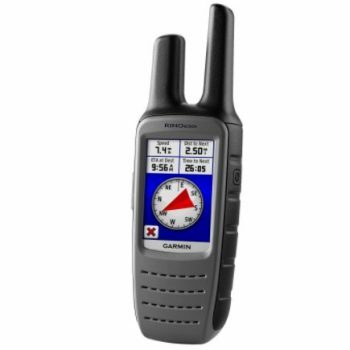 Description: As a combination of two-way radio and GPS, the Garmin Rino 650t GPS has several flaws. But then again, it has its positives as well. 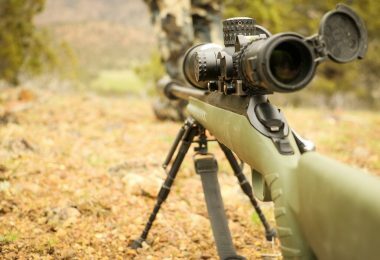 If you are a hunter who often hunts in groups, this device could be a great fit for you. The radio works well and the device will give you reliable GPS coordinates. However, the mapping is pretty mediocre. And as with most Garmins, the preloaded 100k topographic map doesn’t cut it, so you’ll need to buy or download additional maps. This devices’ best quality is its construction. Well built, rugged, and waterproof, this thing will stand against the elements. That is definitely a positive in a backcountry communication tool. However, there is more bad than good in this review. As stated above, the included map is insufficient, and the readability is a bit poor for a Garmin. The screen seems dim, with a low resolution, and really ought to be bigger. The user manual that comes with this device is not helpful enough, and even tech-savvy customers report having challenges adapting to this device. The worst drawback of this device was the battery pack. In this model, the battery pack has to be installed in the device and plugged into the wall with an AC adapter in order to charge. It doesn’t have an external charging station and isn’t USB compatible. This alone is probably not a reason to not buy it. Although this device has a few good qualities, the overall design needs to be rethought before we can suggest purchasing this item. Related: The Venture Pal Daypack is a great daypack to take with you anywhere. Affordable, this is a light pack that is highly durable and has lots of space for your necessities. At the end of the day, every GPS in the market has positives and negatives. You just won’t be able to find the perfect device. With that in mind, what you really need to do is assess your own activities and needs. Are you going to be heading out for a few hours to hike, spending days in the backcountry, or are you wanting to go hunting with a group? The GPS you pick depends heavily on your lifestyle. Hopefully, this list will help you narrow down the options and come closer to a decision. Now that you know more about hiking GPS devices, you should feel more educated on the subject and therefore ready to go shopping. With the many GPS devices on the market right now, you should be able to find one that works well for you, for a great price. Then, you can plan your next hiking trip!